When the temperature drops and the days begin to shorten, there’s nothing more comforting than digging into a steamy and delicious bowl of soup. While it may seem easier to opt for a store-bought canned soup, they’re often full of sodium and hard-to-pronounce ingredients. Making your own home-made soup is actually very simple and much better-for-you! To get you inspired, the Green Valley team has rounded up a list of easy-to-make soup recipes, including everything from classic chicken noodle to hearty Pasta e Fagioli. Whether you’ve got a case of the sniffles or are just looking to warm up on a cold day, a bowl of Chicken Noodle Soup will surely do the trick! Packed with protein and immunity-boosting vitamins from chicken and veggies, this recipe is your secret weapon to fighting off the cold this season. 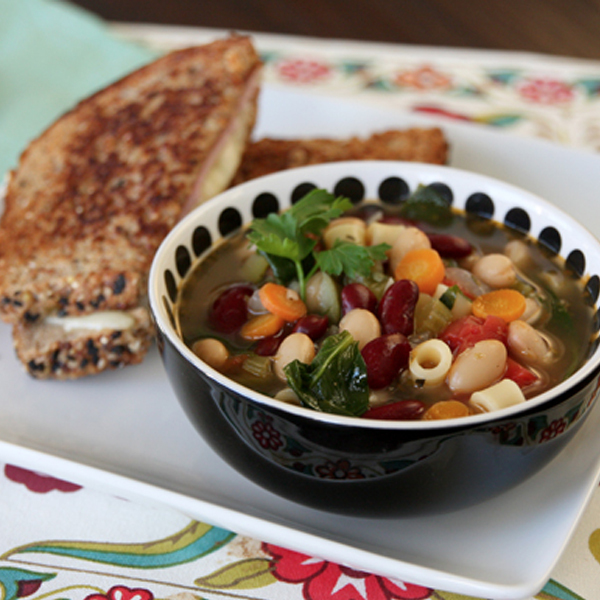 Minestrone soup is a great way to add veggies into any meal. 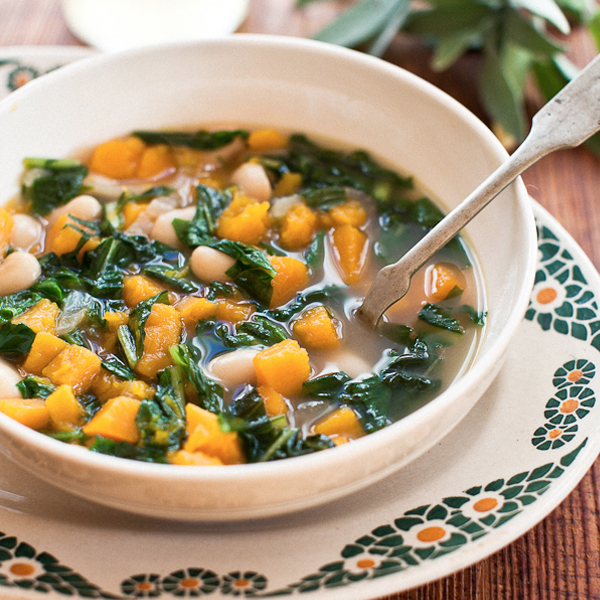 Colorful and chock-full of health benefits, this soup will nourish and warm your entire body. Put an organic twist on this recipe by using Green Valley Kidney Beans, Northern Beans, and Green Beans. Clam chowder can often seem intimidating to make at home. After giving this recipe a try, you’ll see just how easy and delicious chowder can be! Made with low-fat Green Valley Corn and hearty potatoes, this simple soup will become a staple for colder fall evenings. Looking for an easy-peasy, delicious soup? 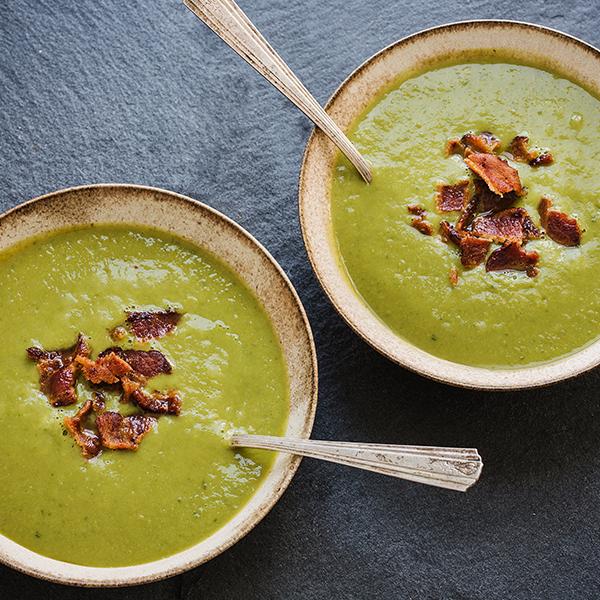 Made with organic Green Valley Peas, this simple soup will deliver a healthy dose of vitamin C and antioxidants. Plus, it adds crispy bacon bits to pump up the flavor! Vegetarian or not, you’ll certainly go crazy over this meat-free version of Pasta e Fagioli made in under 30 minutes! 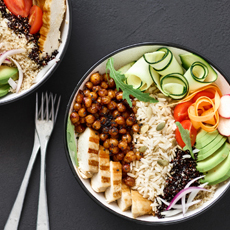 Jam-packed with nourishing ingredients including whole grains and organic Green Valley Northern Beans, this recipe is ideal for any busy weeknight. Now that it’s colder outside, chances are that you’ll be inclined to host more get-togethers at home. Impress guests with this fall-inspired soup made from butternut squash and high-fiber organic Green Valley Northern Beans. 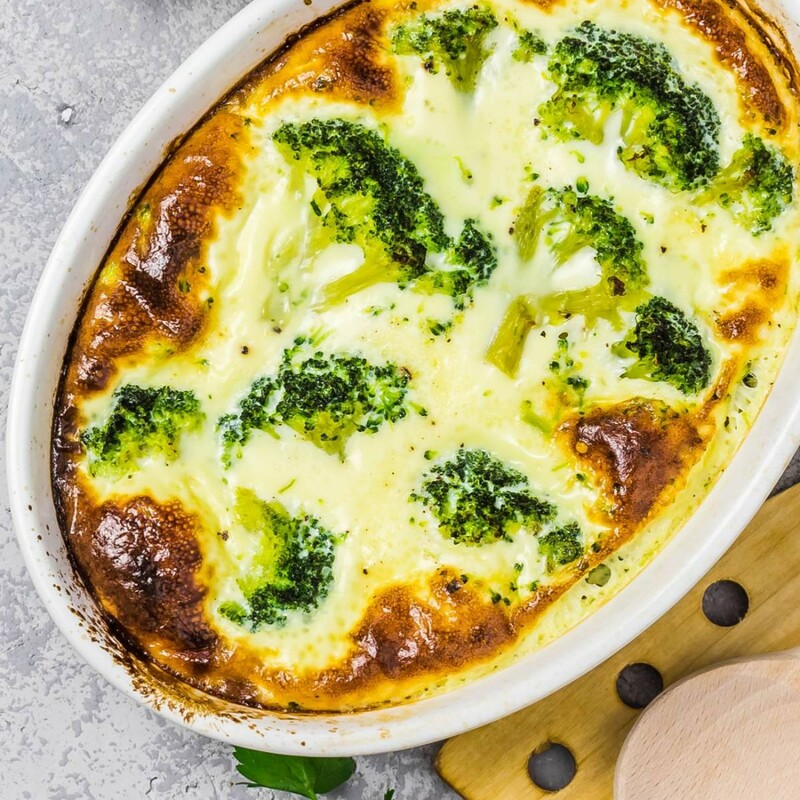 Creamy and comforting, this recipe is guaranteed to be a hit! If you’re a bacon lover, you won’t be able to get enough of this creamy northern bean soup! This recipe combines organic Green Valley Northern Beans and bacon strips for a nutritious warm pot bursting with smoky flavor. 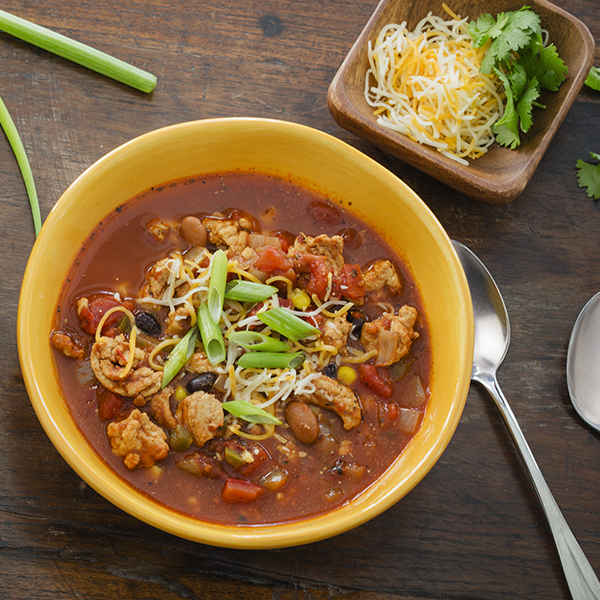 This recipe encompasses everything you love about tacos into a warm, nourishing soup! 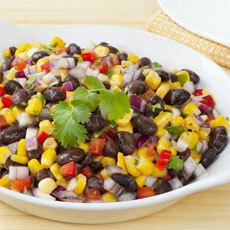 Organic Green Valley Black Beans, Pinto Beans, Corn and ground beef or chicken give this soup tons of protein and fiber. Best of all, it’s so filling that you can serve it up as a one-pot complete dinner. Canned pumpkin can be used for much more than pies! Transform organic Green Valley Pumpkin into a creamy, seasonal soup with a Thai-inspired recipe. While most pumpkin soups are loaded with cream, this recipe features a light stock base. Spice up your weeknight menu with this simple-to-make soup crafted from organic Green Valley Black Beans. 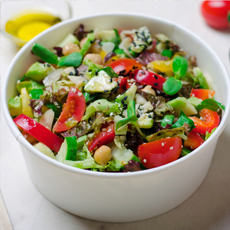 Not only is it full of flavor and fiber, but it’s easily prepped in under 10 minutes. Just one spoonful and the entire family will be begging for more! Even on the coldest days of the season, these soups will be sure to fill and warm you up. We’d love to see how they turn out! Share your photos with us on Instagram by tagging @ItsGreenValley and we may share your creation with our fans.